A long series of battles fighting for control of the Holy Lands, the Crusades remain a critical period of history. 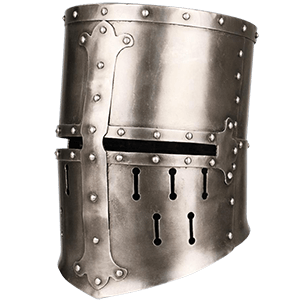 Our Crusader armour comes in a range of functional armour designs, including Crusader chainmail, Crusader plate armour, and Crusader leather armour. 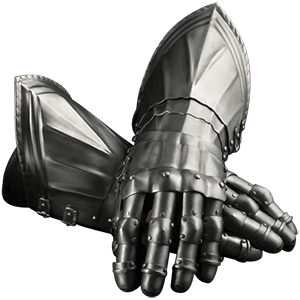 Our Crusader knight armour includes items like breastplates, bracers, greaves, pauldrons, and more. Many pieces of the medieval armour have iconic symbols like the Templar knight cross, Hospitaler knight cross, and the Teutonic knight cross on them. Medieval knight armour in these styles remains a popular choice for movies, collecting, stage fighting, SCA, LARP, and other historical re-enactment. One of the most significant conflicts of history, the Crusades still have an impact on the way we imagine medieval warriors. 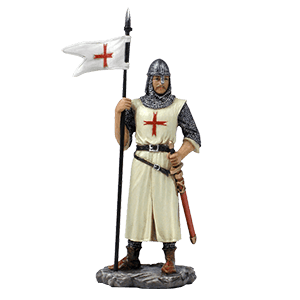 We carry an excellent selection of Crusader apparel for re-enactors and history buffs. 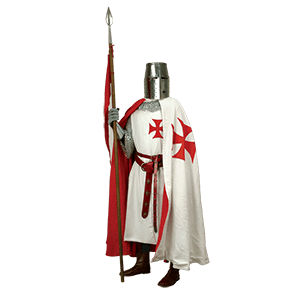 Crusader clothing often included medieval apparel like tunics, surcoats, and capes. The Crusaders wore surcoats to insulate their body from the heavy armour, because the heat of the sun would heat the armour and literally burn them. Crusader surcoats and tunics also circulated air around armour, as they were open at the bottom. 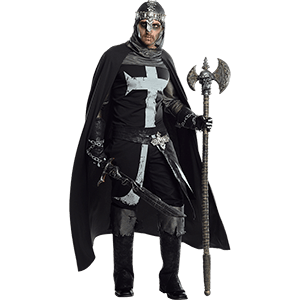 Most of our Crusader knight clothing displays common symbols of the Templars, Hospitalers, and Teutonic Knights. 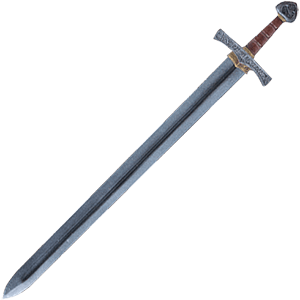 Be sure to check out our Crusader belts, boots, and other period garments, as well, as you round out your medieval wardrobe. When planning your ensemble for your next live action role-playing event, be sure to arm yourself with gear suitable for your medieval character. 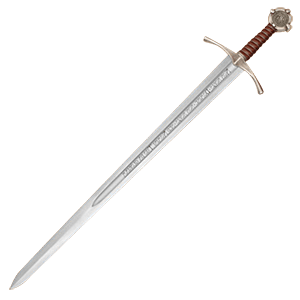 The Crusader LARP weapons category includes a fantastic selection of medieval role-playing gear perfect for Templars, Hospitalers, Teutonic knights, and all of the other military orders. 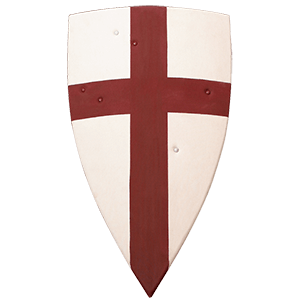 Many Crusader LARP swords and LARP shields feature the iconic cross symbols used by the various orders, while others also display details specific to Richard the Lionheart and other unforgettable figures. 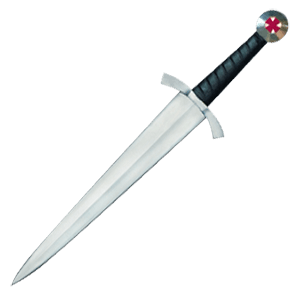 Our Templar LARP swords and other Crusader LARP blades are sure to impress the next time you head out onto the field of battle! The Crusades were one of the most influential conflicts of history, spanning Europe to the Middle East and lasting nearly 200 years. We carry a fantastic array of Crusader home decor inspired by these historical battles. Our Crusader statues include a range of designs, showing off knights on horseback, standing with swords and other weapons, or posed in other dramatic stances. Other Crusader decor pieces range from medieval cross wall plaques, metal signs, Crusader banners, Crusader cushions, and other medieval sculptures and figurines. 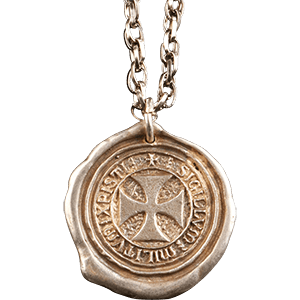 Many of these items include designs inspired by specific knightly orders like the Templars, Hospitalers, and the Teutonic knights. Take a moment to browse, and you are sure to find some sort of medieval decor or Crusader collectible that catches your eye!